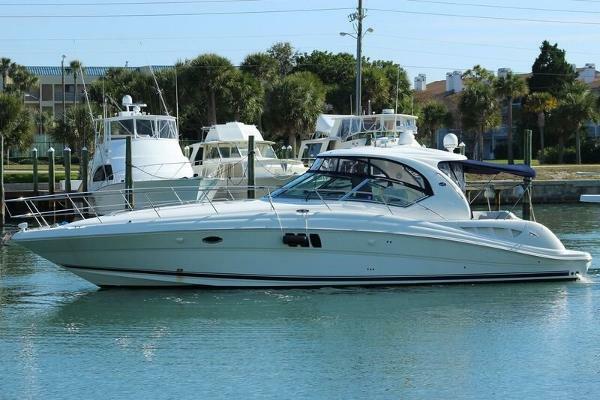 2006 Sea Ray 44 Sundancer This 2006 Sea Ray 44 Sundancer is the one to own! 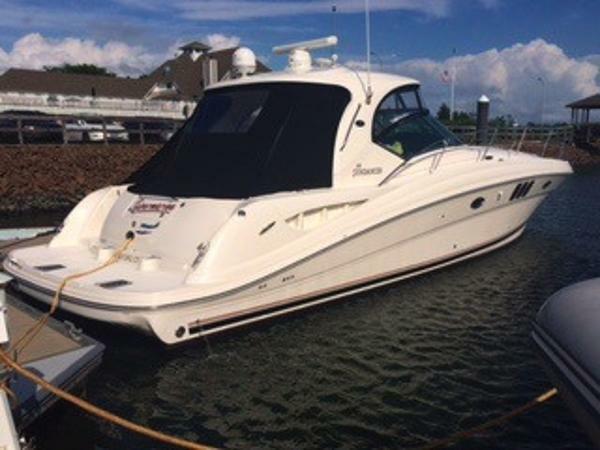 Enjoyed in the fresh waters of the Great Lakes, fit with Cummins diesels, cockpit climate control, cockpit TV, SAT TV, upgraded Garmin electronics, new aft enclosure and cockpit carpet. Vessel is located off-site and available by appointment only. 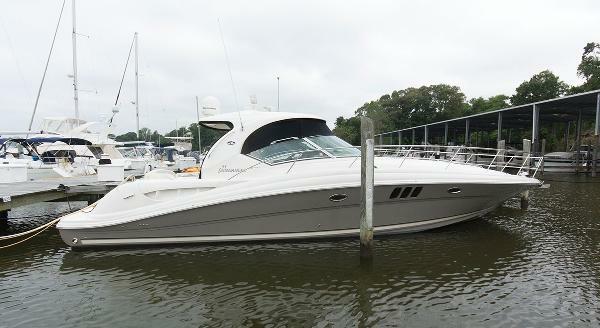 2006 Sea Ray 44 Sundancer JUST LISTED 590 hrs, clean boat turn key. Call for more detail. 2007 Sea Ray 44 Sundancer Sleek styling, a large, comfortable cockpit and a luxurious interior that sleeps plenty are just the right formula for endless fun in the 44 Sundancer. A wealth of instrumentation and information is at the captain's fingertips, and twin 8.1 S Horizon MerCruiser gasoline V-drives will get you to most any destination with ease. The beautiful, yet efficient, galley includes a host of conveniences that will make each on-the-water excurision thoroughly enjoyable. 2008 Sea Ray 44 Sundancer Sleek styling, a large, comfortable cockpit and a luxurious interior that sleeps plenty are just the right formula for endless fun in the 44 Sundancer. A wealth of instrumentation and information is at the captain's fingertips, and twin 8.1 S Horizon MerCruiser gasoline V-drives will get you to most any destination with ease. The beautiful, yet efficient, galley includes a host of conveniences that will make each on-the-water excurision thoroughly enjoyable. 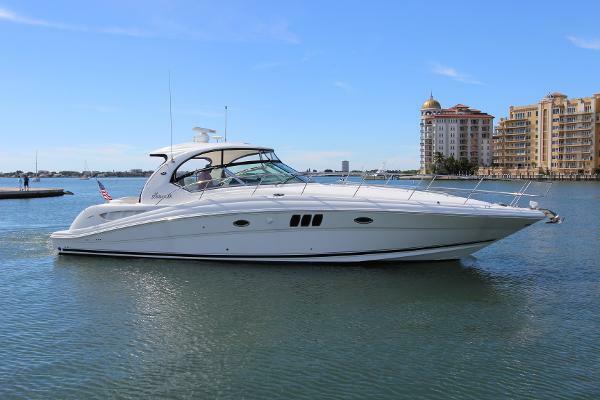 2006 Sea Ray 44 Sundancer Please contact Travis Lambert at 954-288-6992 Excellent Condition, Extremely Well Kept Many Updates , Maintenance Records Powered by Twin Cummins QSC 500 hp Diesel Completely Serviced, Fresh Oil Changes, Ready to Cruise New Master Stateroom Air Conditioning System 10-2016 New Refrigerator in the Galley 10-2016 A/C in Cockpit and Helm 2015 Full Bottom Painting & Prop Speed 2015 New Canvas Enclosure and Cockpit Shade 7212 Garmin touch-screen GPS/ Chartplotter Bow thruster Cockpit Air-conditioning, Cockpit TV Underwater Lights Onan 9k Generator We specialize in and search for the finest and best Sea Ray Boats in South Florida. Email us to see over 100 high definition recently taken photos of this boat! 2007 Sea Ray 44 Sundancer Here is a clean and well kept 44' Sundancer with cherry interior, powered by Cummins diesels (approximately 640 hours). In November of 2015, an electronics upgrade including a new Garmin package with two touchscreen 7612 displays were added. Classis White hull with hardtop, Navy Blue canvas, which includes a helm enclosure with drop curtain and a cockpit shade. Some of her other features are a bow thruster, helm/cockpit air, and Satellite TV antenna. 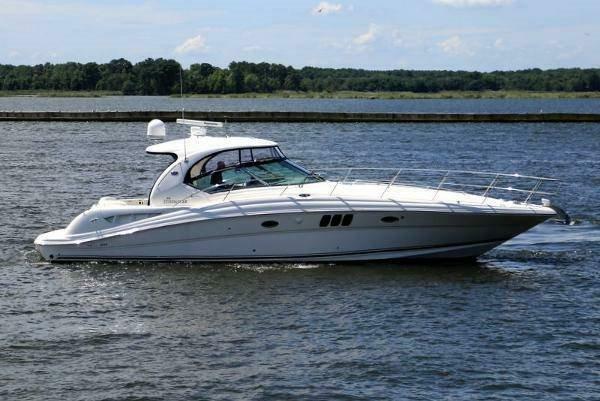 2007 Sea Ray 44 Sundancer ****** 1/4 Shared Ownership / Partnership ****** FRESH WATER BOAT Sleek styling, a large, comfortable cockpit and a luxurious interior that sleeps plenty are just the right formula for endless fun in the 44 Sundancer. 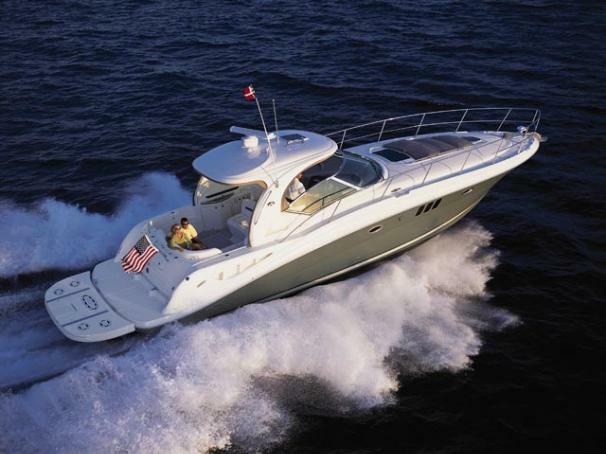 A wealth of instrumentation and information is at the captain's fingertips, and twin 8.3, upgraded 500 hp ea. Cummins diesel V-drives will get you to most any destination with ease. The beautiful, yet efficient, galley includes a host of conveniences that will make each on-the-water excurision thoroughly enjoyable. 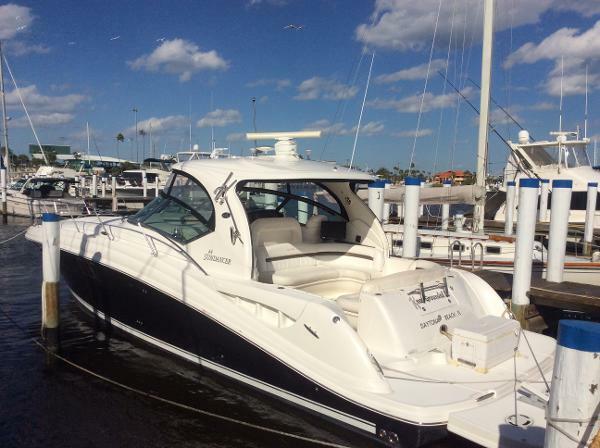 2007 Sea Ray 44 Sundancer Turn Key 2007 Sea Ray 44 Sundancer. Maintained in excellent fashion by a very discerning owner. Sea Jazz is very well optioned to include Bow Thruster, Cockpit Air, Radar, Autopilot, Dual 12 inch multifunction GPS displays, Cockpit TV, Oil change system, and much more. 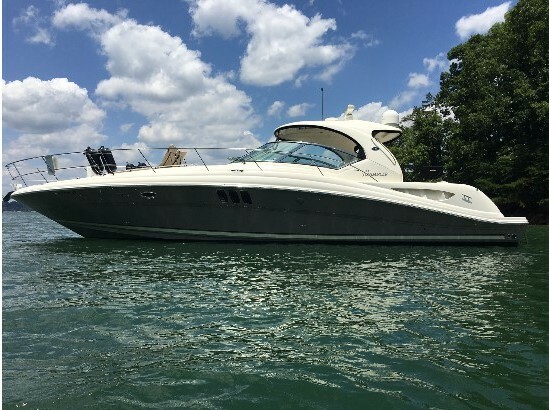 This 2007 Sea Ray 44 Sundancer is ready to cruise as service is up to date, she has been recently detailed, and is fully found. Sea Jazz is utilized regularly and therefore all mechanical items are operational and ready for adventure. 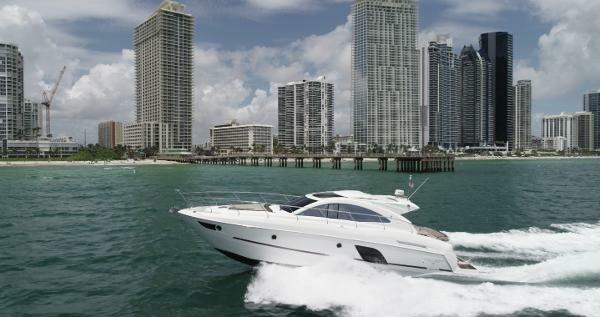 Sea Jazz is worth inspection from any discerning sea ray purchaser as her owner's loving care is very evident. 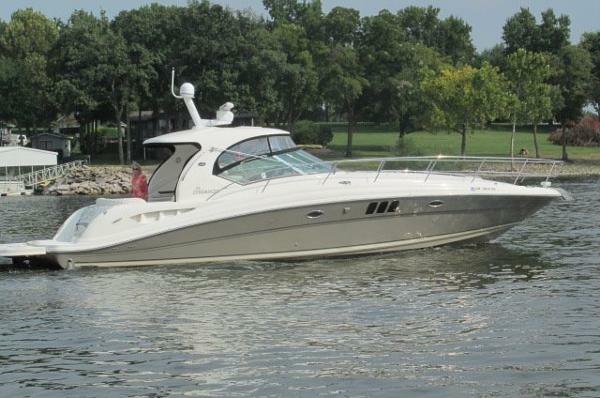 Make an appointment today to see one of the finest examples of the 440 Sundancer available today. 2006 Sea Ray 44 Sundancer Bones Gone Bad is an excellent example of a Sea Ray 44 Sundancer, one of Sea Ray's most popular models due to its spacious accommodations both above and below deck. She has been professionally maintained in ready to cruise fashion. Service is up to date and bottom paint is in progress as of August 2016. 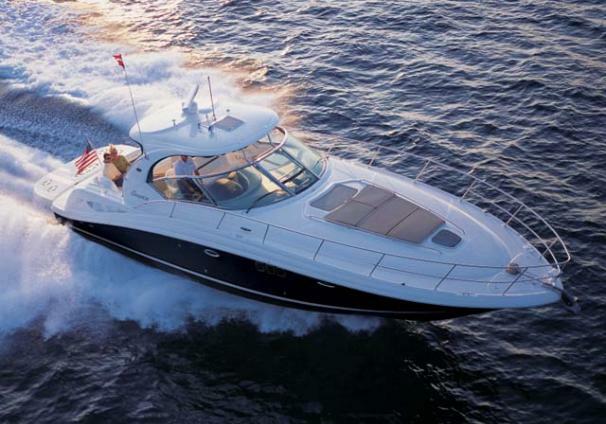 BGB is very well equipped with Sea Ray Navigator, RayMarine E120, Autopilot, 48 Mile Open Array Radar, Cockpit AC, newer cockpit carpet, spare props and much more. 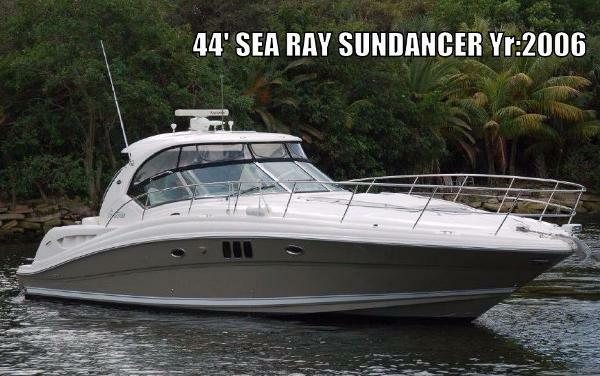 Please call today on this excellent opportunity in a well cared for Sea Ray 44 Sundancer. Two boat owner is keen on offers. 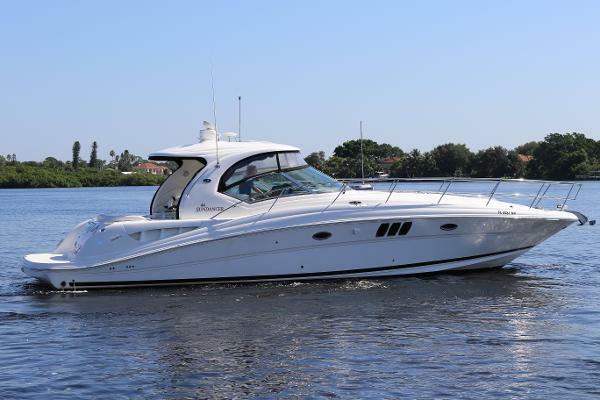 2006 Sea Ray 44 Sundancer This 2006 Sea Ray 44 Sundancer is the one to own! 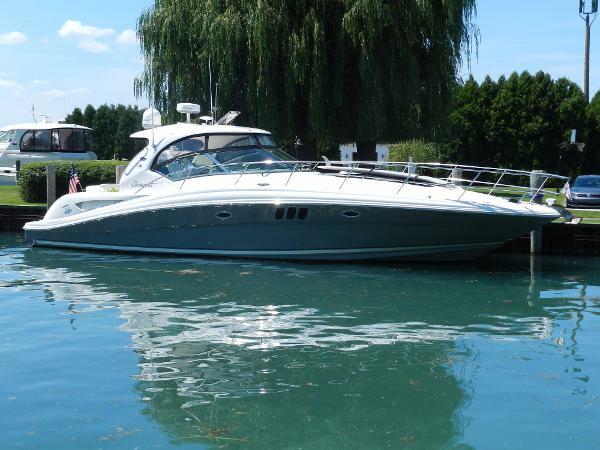 Enjoyed in the fresh waters of the Great Lakes, this 44 Sundancer is fit with Cummins diesels, cockpit climate control, cockpit TV, SAT TV, a new touch screen Garmin...Call today. Don't miss this one!